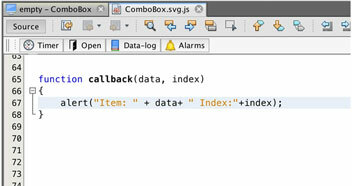 You can easily use the List box, combo box and text box in view scripts. 1. We will create the combo box and add it to the view. 2. 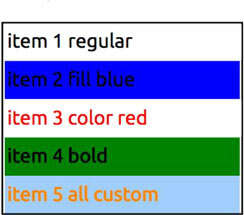 We will create a button next to the combo box, on its press we will call view script function get Item. ‘Comp29328366’ is an ID of our Combo box. You can find ID in properties window upon clicking on your Combo box. 4. Now we will create a new button. 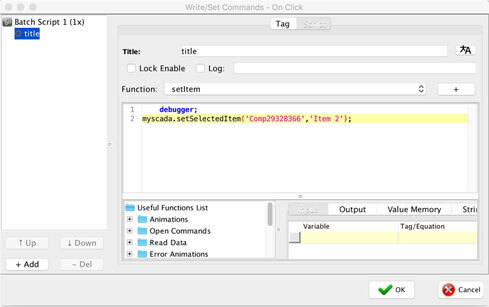 On its press we will call view script function setItem where we will set item in combo box to second item. If you want to be notified, when user selects an item in the combo box or list box, or presses and enters into the text box, set up a callback function. 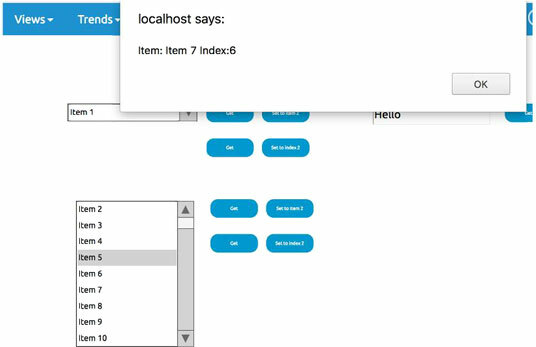 As you can see, into your callback function, you will get 2 arguments, first is a selected item and second is an index of the selected item.